How much did we warm in November? Summary: As the pause in the warming of the world’s surface temperature enters its 17th year, activists hide this by focusing on areas of the world reporting record warm weather (areas with cold weather are un-news). We need not fall for this deceit. NASA funds a monthly report of global temperature measured by satellites — a consistently high-quality data set going back to 1979 (roughly the end of the previous mini-cooling cycle). 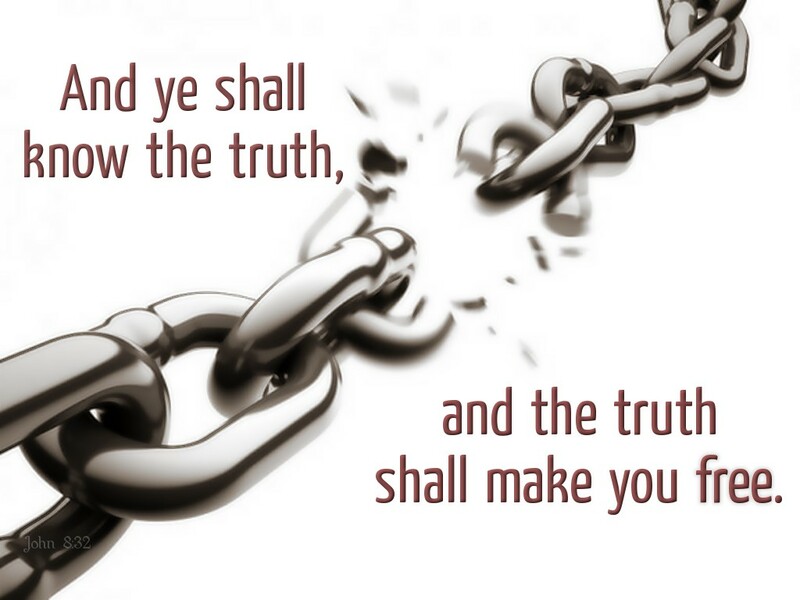 The truth is out there for people willing to learn it. 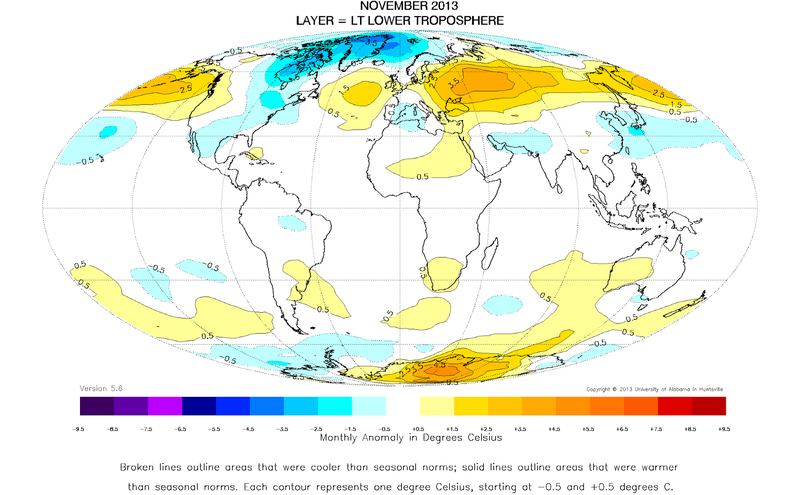 Global composite temperature in November: +0.19°C (0.34°F) above the average for November during 1981-2010. The warmest area was in Eastern Antarctica, where tropospheric temperatures were 5.32°C (almost 9.6°F) warmer than seasonal norms. Roy Spencer (principal scientists on the team) shows another perspective on this data (at his website). Wide swings in temperature; a relatively flat trend since 1998 (even more so since 2000). For more about the pause see summaries of the growing body research about it here, and the IPCC’s view here. And somehow lost in all of this data is the fact that the “combined average temperature over global land and ocean surfaces for November 2013 was record highest for the 134-year period of record.” http://www.ncdc.noaa.gov/sotc/global/2013/11 That seems like something you might want to mention in an article about the amount of warming this November. I rely on the satellite record, which (as stated) provides a high-quality consistent metric going back to 1979. With analysis by two different teams (RSS and UAH), providing a check and balance. * unknown effect due to land use changes (e.g., urbanization). All of these could be improved with improved funding. But both sides prefer to argue rather than devote the resources needed to provide answers. I don’t understand why the global data from the surface temperature stations receives so much attention when there is a better alternative. Not a perfect alternative, but better. Note that the long-term results of all the major data sets agree. It’s on the smaller scale results — time, geography — they differ. The supposed recent record: it results largely from the Russian “hot spot”. Russia has a small number stations covering a large area, grossly underfunded, with a complex station history (making historical comparisons difficult). Choosing between that and the satellite record — which does not show a record high — is imo not difficult. Yes. 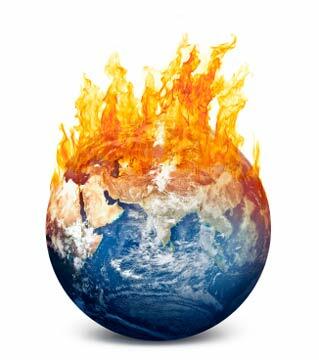 Scientists call it a “pause” or “hiatus” because there has been no statistically significant warming in the surface temperature data sets since 1997-2000 (depending on the dataset and statistical tool used). It is interesting that you “rely on the sattelite record” despite your past concerns over scientists with-holding information. For the record, the UAH satellite results are the ONLY major surface temperature dataset which refuses to supply their calculations (though the underlying data is from the US government and thus public domain). Further, Spencer and Christy have consistently had to make revisions in their results (always leading to greater warming) after other teams (primarily RSS) managed to reverse engineer one piece or another and prove that UAH had it wrong. They originally claimed that the lack of warming shown by their satellite results had disproved the surface temperature warming record… now that their results are a near match they claim to have proven that the thermometer record is slightly exaggerated (somehow blind to the possibility that their results are still low). Spencer BTW also argues that creationism is more scientific than evolution and that global warming can’t be that bad because God promised never to send another great flood. Christy indoctrinates Sunday school children with how climate change is made up by environmentalists to undercut the free market. Good thing you avoid ideological bias in performing your analyses. That’s not really what the graph shows. Given that the baseline is the average over the entire period, the first half being below the average and the second half above indicates that temperatures have been increasing or the entire period. Those ‘2 decades of cool weather’ are only cool relative to the later period. A straight upward slope with no noise at all would also have ‘cool on the left’ and ‘warm on the right’ if the baseline were set at the average for the entire period. The atmosphere would represent about a third of the brown region at the bottom of the graph and the surface atmosphere only a portion of that. It is standard practice in even the peer-reviewed literature to state the subject as “man surface temperture warming”, then refer to just “warming” thereafter. The reason for doing so is obvious to most of us. Address your complaints to NASA. You can report back on their reply. No. My comments were about the shortcomings of Spencer and Christy. Neither of whom have ever worked at NASA. Your suggestion makes as much sense as directing me to complain to the FDA. …and that statement is flat out FALSE. 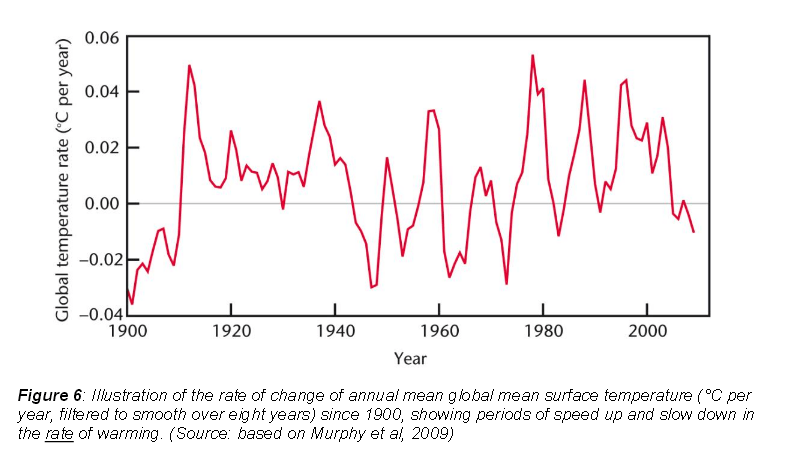 If you said that the surface atmosphere had warmed only slightly since 1979 that would be accurate though incomplete. Instead you say the world. The surface atmosphere is NOT the world. The world has warmed a great deal since 1979. It is a NASA product produced by outside contractors. I have more confidence in NASA than you. You are confused somehow. The UAH (i.e. 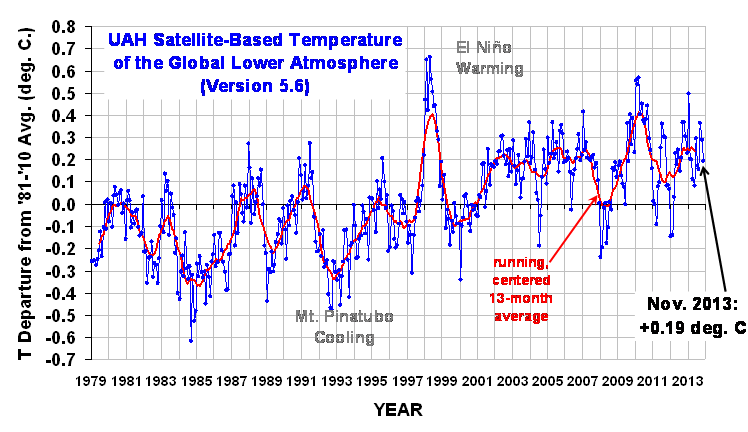 University of Alabama Huntsville) satellite temperature record has NOTHING to do with NASA. It is not in any way a “NASA product”. For the record, the GISS surface temperature record that you say above you DON’T trust…. THAT’S a NASA product. Yes. NASA has two surface temp data series, quite appropriately using all available data. For this purpose I use the more appropriate one for this specific question. This is a common situation. The Bureau of Labor Statistics publishes three surveys of employment. Each has strengths and weaknesses. My monthly posts about jobs takes this into account. Your objections are quite frivolous. Read about the UAH satellite temperature data set. Note the complete absence of any mention of NASA being involved. Stop deluding yourself. 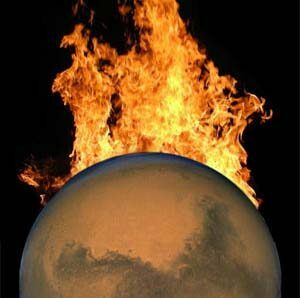 It is prepared on a NASA contract, as clearly stated on the University of Alabama website. Citing Wikipedia as an authority because it does not mention something is just silly. After reading the Wikipedia entry, I’ll reclassify your objection to “weird”. The Wikipedia entry does not discuss anybody’s funding or sponsorship. I don’t see that NASA or NOAA publishes information about their current research contracts (perhaps its buried on their websites somewhere). More importantly, why would you believe that the University of Alabama lies about the programs’s sponsorship? Conrad, you are just making stuff up — and ignoring the quotes and links I provide to authoritative sources. I’ve been a good sport about this, but there are limits. You look like a troll, and here (like most websites attempting to provide useful discussions) trolls are banned once identified. Please do better to avoid this.